Just checking the 'plasmo' firing at top temperature. Everything had moved intoplace and joined. 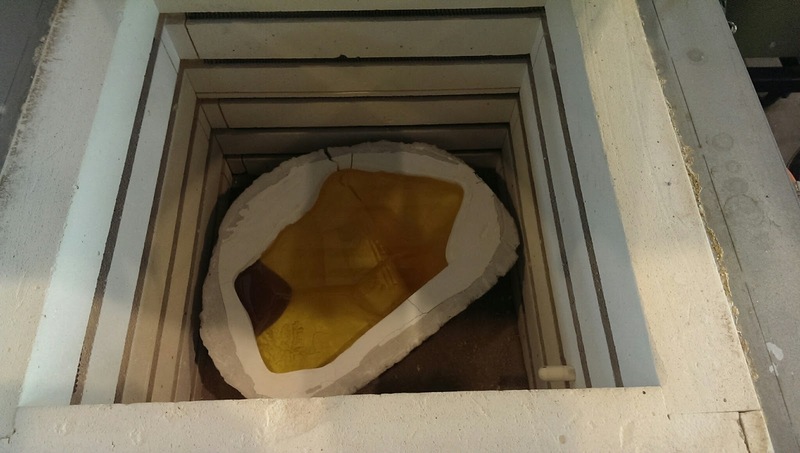 Because I didn't want the colour to move anymore I moved the kiln schedule quickly on to the next stage.